Social media (and presence) today is an inevitable part of one’s identity. An extended personality, if I may add. In layman’s words- Facebook, Instagram, Twitter and more help create a brand and/or an image that is as big as the entity. Yes, it’s critical. But you know what’s even more? The absence of it! It’s all black at Raymond! Yes, every Indian man’s go-to-destination for tailored fashion has upstaged an eclipse like nothing else! And by an eclipse, I mean…black display picture on Facebook. Coupled with a black cover picture too! 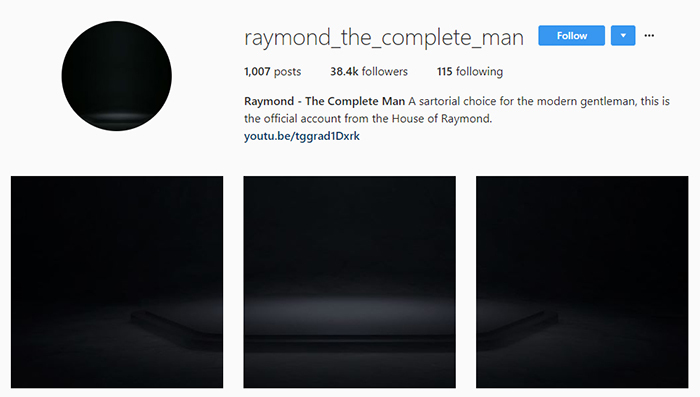 Even their Instagram that boasts of around 38K followers has forayed into a mystical dark. Twitter you ask? See it for yourself. Nope, no clue whatsoever. 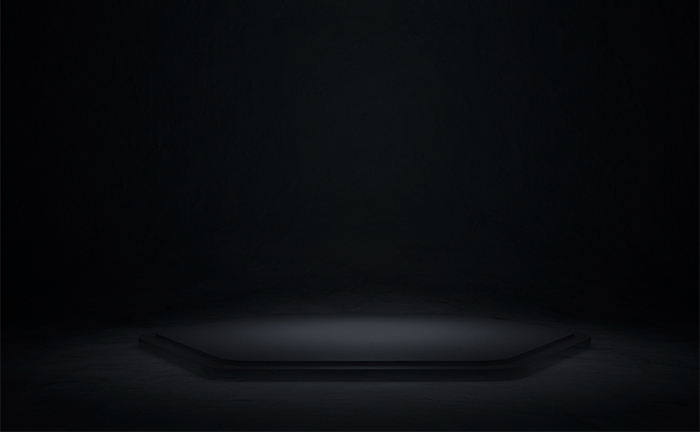 Apart from the fact that it feels as though a spotlight is going to flood the jet-black podium any minute now. In fact, something tells me it’s gonna happen and soon. Some major reveal? Something unique, maybe? Now, I don’t know about you but I’m glued. Stay tuned, but hey…we will keep you updated anyway!